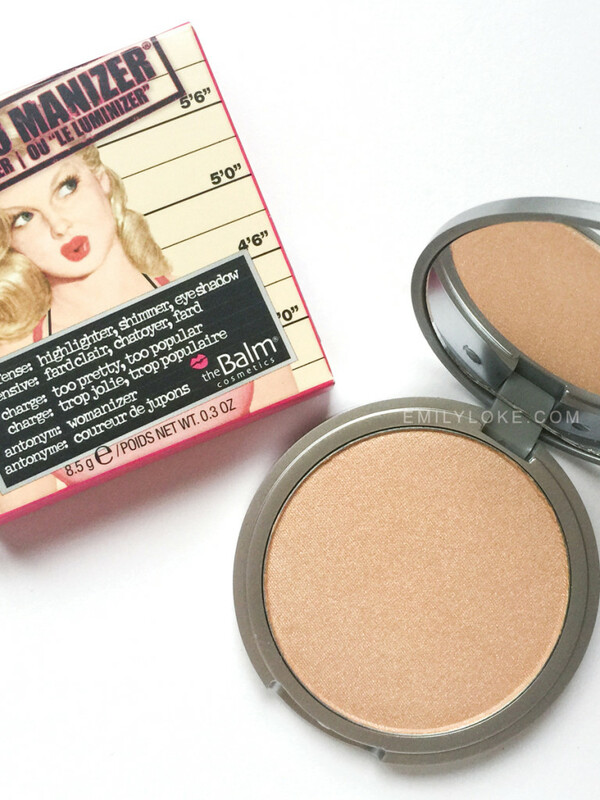 Since the very beginning of my highlighter obsession, The Balm’s Mary Lou-Manizer was the one product that kept coming up again and again in recommendations. It took a while (and crossing a couple of continents) to get my hands on one, but now that I have I’m never letting go! I’m not a fan of kitchy packaging, but I’m willing to overlook it for the fact that – in terms of drama – this is possibly the best powder highlighter I’ve come across to date. 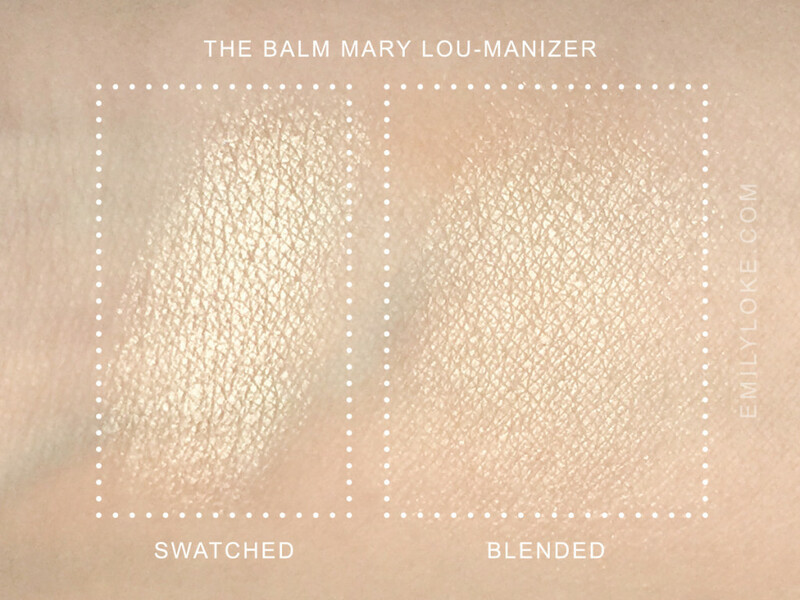 Mary Lou-Manizer is described a universally flattering colour. 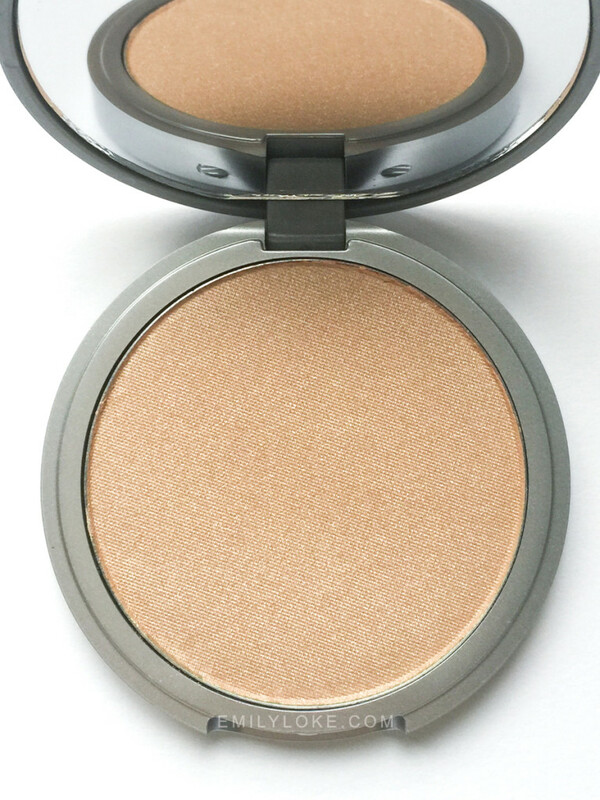 Though its peachy-gold tone reads quite distinctively in swatches, the tint was barely visible on my pale face. No doubt because it’s so densely frosted that it reflects light like a mirror, as you can kind of see in my fotd shots here. 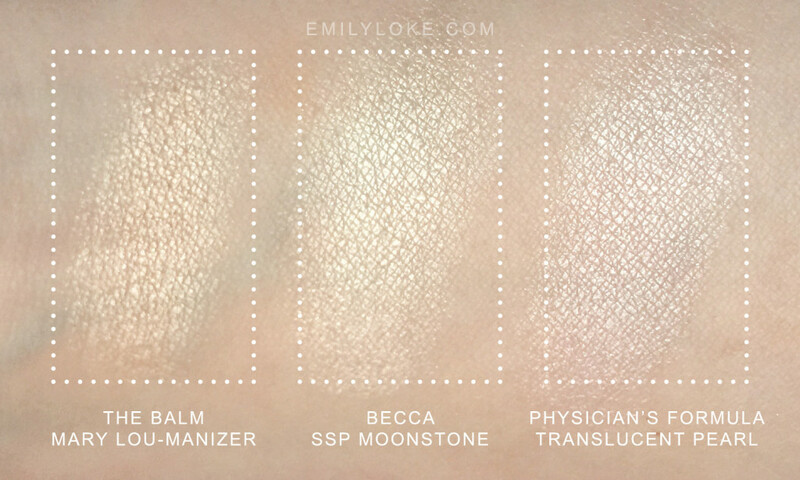 For science, I thought I’d show it next to the other powder highlighters I’ve been reaching for a lot lately: Becca Pressed Shimmering Skin Perfecter in Moonstone, and Physician’s Formula Mineral Glow Pearls in Translucent Pearl. In summary: The best powder highlighter I’ve come across for dramatic looks. It’s unique in its no-holds-barred pigmentation, which can build effortlessly to a theatrical/editorial sheen. It would be a waste of its potential to use it lightly (and to be honest there are better products out there if you prefer a more subtle approach) but if you like a strong highlighter this is absolutely a must-have product. Psst! For my Singapore readers: This is currently on sale for 20% off at Sa Sa boutiques.